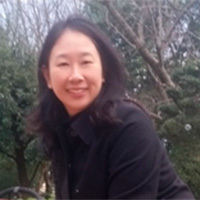 Misako Ito works as Advisor for Communication and Information at UNESCO Office in Bangkok since April 2015. She is responsible for UNESCO’s Communication and Information programme on freedom of expression, media development, and media and information literacy for the Mekong region. She also coordinates the UNESCO Memory of the World programme in Asia and the Pacific, and represents UNESCO in theregional Memory of the World Committee for Asia-Pacific to promote the preservation of documentary heritageand universal access to it. Beforeshe spent six years at UNESCO Office in Rabat, Morocco, in providing advisory services for the reform of the media sector, its legislation as well as for the participation of youth in public policy formulation in Algeria, Morocco, Mauritania and Tunisia. From 2005 to 2009 she was in charge of UNESCO’s global programme on libraries and information literacy, and ensured the Secretariat of the intergovernmental Information for All programme at UNESCO’sKnowledge Societies Division in Paris. She is an engineer in information systems graduated from the Ecole des Mines of Paris and HEC School of Management in Paris. Before joining UNESCO, she worked for the French Development Agency and the Institute of Research for Development in Guinea, Gabon and Senegal.